"I am grateful for all of the teachers, friends and family who have helped me discover my Yoga path. This journey has led me from chronic illness to vibrant health and well-being, to global adventure, and joyful community. I am committed to sharing this path with others!" YYoga Yaletown Centre Manager Alex Atherton loves Yoga Traditions, and has spent the past decade sharing these powerful practices for joyful living with thousands of students across the globe. 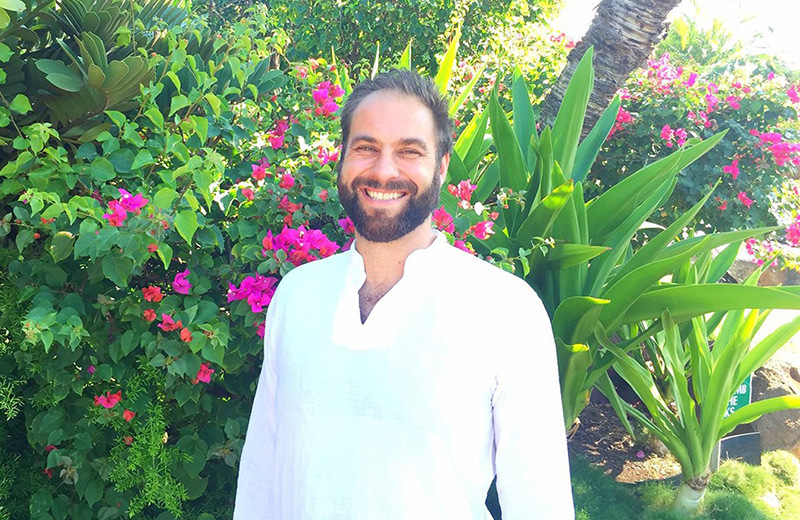 Alex is a Yoga Alliance 500hr E-RYT Teacher Trainer who is passionate about alignment based Hatha Yoga practices, Yoga as Therapy, and Tantric teachings. Alex’s personal practice blossoms from a variety of lineages including Ashtanga and Iyengar Yoga. Comfortable in English, French and Chinese, Alex brings to his teaching, an energetic and uplifting style, personal conviction and passion, and easy way of communicating with students. As a scholar and athlete, Alex was devastated at the age of 21 by severe whiplash/concussion. With the help of Yoga practice, Alex healed his spine, regained his vitality, and majored in Philosophy at the University of Victoria. Alex went on to lead public and private classes, trainings, retreats, mentorships, charity events, and adventure tours in Canada, China, Thailand, Malaysia, Tibet and Nepal. He lived in Asia for 7 years where he was a Tour Leader in China/Tibet/Nepal. An Entrepreneur and Entertainer in Taiwan, and the Programs/Retreats Manager for Shanghai's largest studio group Y+ Yoga. Alex has spent the past 5+ years managing YYoga Centres (Richmond and Yaletown) and leading retreats (Costa Rica and Gulf Islands), workshops and trainings as a Faculty Member of YYoga’s Teacher’s College.